• 390 exercises with animations and step by step instructions. You can add your own exercises. • Text, pictures, animated GIFs and youtube clips can be attached to any exercise. • 67 workout routines. You can add your own routines. • Flexible tracking system for strength, cardio, plyometrics, stretching workouts, circuit training, Tabata or any other workout type. Supports supersets, freeform notes and much more. Workout history is fully editable. • The workout logging screen is optimized for fast data entry, but remains feature-rich. You can copy data from the history, add new exercises, images and videos without interrupting your workout. • Bodyweight and assisted-weight exercises automatically account for your body weight. • Timers for exercise duration, rests, circuits. 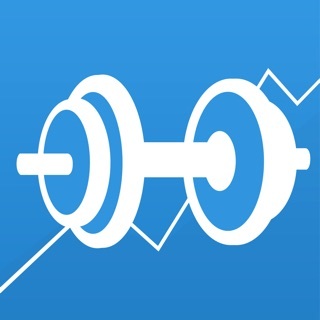 • GymGoal calculates your One Rep Max for every exercise. • Workout history by muscle shows muscles that you neglect. • Weekly and rotating schedules support up to 4 workout sessions a day. • Heart rate monitoring with Apple Watch or a Bluetooth 4 device. While working out: graph, max/average, warning when heart rate leaves the target zone. In the workout history: heart rate graphs, stats. • GPS tracking. Interactive map during the workout. Trail, distance and speed recording. Maps saved to the workout history. Distance, time, speed shown for any trail part. • The best in class Body Fat tracking module includes calculators, several skinfolds (calipers) methods, direct entry. • One-rep Max, BMI, BMR, TDEE, Target Heart Rate calculators and progress tracking. • Apple Watch support - workout logging, heart rate, timers. • Integration with the Health app: two-way syncing of BMI, BMR, Body Fat, weight and height, export of workout data, including burned calories. • Two-way syncing with RunKeeper and MapMyFitness - both cardio and strength workouts. • Workout logs, measurements, routines and the schedule can be emailed for review and printing. Workout logs can be opened in Excel. • Up to 50 user accounts. • GymGoal is in AppStore since 2008. It is used by over a million people, from beginners to pro athletes and trainers, and even in schools. • Many people have 9 years of detailed workout history in GymGoal. Years of history do not slow GymGoal down. • Updates will not lose your routines, schedule or workout history. Even if your iPhone breaks, you will be able to restore your data from the server backup. I’ve used GymGoal since the first GymGoal, and have absolutely loved it. The ability to track your exercises, reps, have pictures and videos, and create custom exercises is great. The app works flawlessly on the iPhone. If i was to rate this for the iPhone portion, it’d be a five star app. The Apple Watch is a different story though, and if I could give the iPhone a 5, I’d give the watch portion a one star rating. The app constantly crashes on the watch, and you have to reopen it, and hope and pray that it will pair with your phone. The app says that you can start a routine that’s saved as a schedule directly from your watch, without needing your phone, but when you launch the app it says “open GymGoal on your iPhone”. But GymGoal is open on both devices but they don’t talk to each other. And now the new version doesn’t give you a notification on your watch when your rest period is up, so you have no idea when to start your next set. The potential is there for the Apple Watch portion and I hope that the developer fixes the issues. I love this app, and have used it for years, but if these Apple Watch portions aren’t fixed, I may have to look elsewhere. At times, the Apple Watch app can be buggy in that sometimes it doesn’t save sets or if I’m editing a set, it’ll pull up something completely different. But even with that, this app is hands down the best app for gym logging and tracking your progress. I would like the developer to make it easier to designate circuit exercises and easier to log circuits instead of having to swipe between exercises. I have used Gym Goal for several years. It is a very effective tool to track, customize exercises and build routines. My only wish for the next upgrade would be the alphabetical listing of my custom exercises. They currently list in order of date created. Overall a great app. Effective for all levels. Great customer support the few times I have needed it. I highly recommend it to anyone serious about fitness.